The taxi driver took some time before locating our accommodation which was located in the nice neighbourhood of Sopocachi. 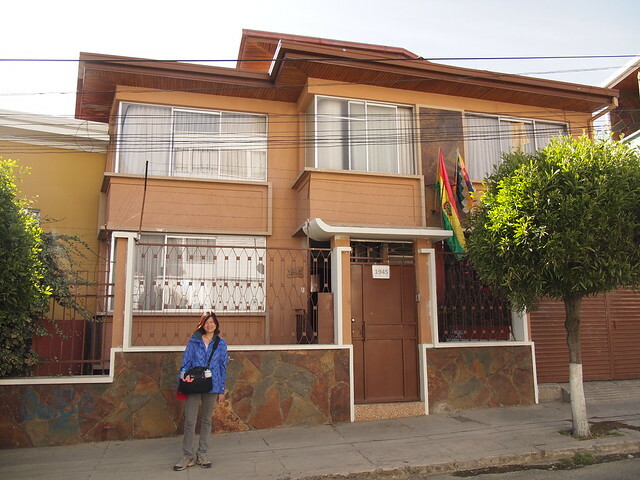 It was one of the top listings in La Paz on Airbnb and we booked two nights there for S$82. The friendly staff on duty Raul welcomed us warmly at the door and gave us an introduction to the rest of the guests lounging in the living room. 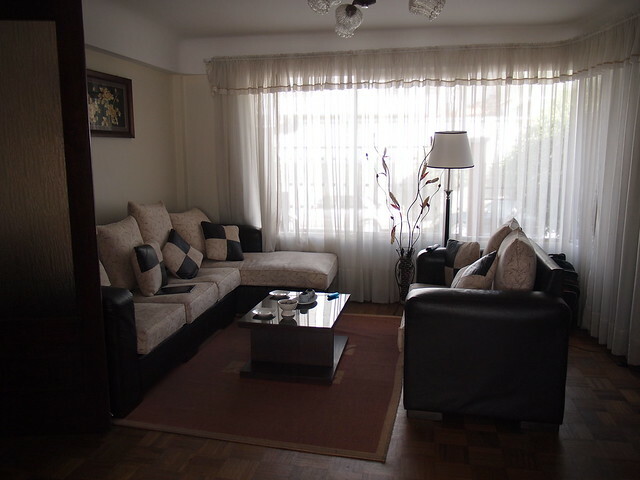 It was a big house with five guest rooms and there was also a large kitchen and dining area. The roof top was an open terrace where guests could chill out. We love the place immediately. 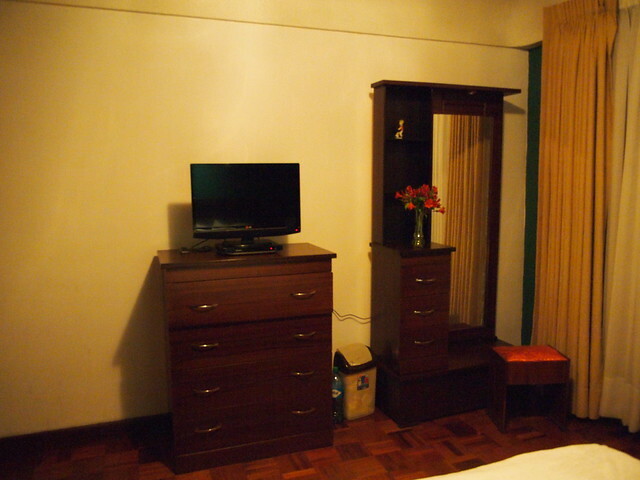 We love our room too. It looked exactly like in the pictures on Airbnb. Ying and I decided to self-cater for the first night and Raul offered to bring us to the shop nearby. As it was a Sunday, many shops were close but luckily our host knew of a place where we could get some pasta and sausages. We shared some of our laksa pasta with Raul and in return he insisted on helping us with the dishes. Thanks Raul! 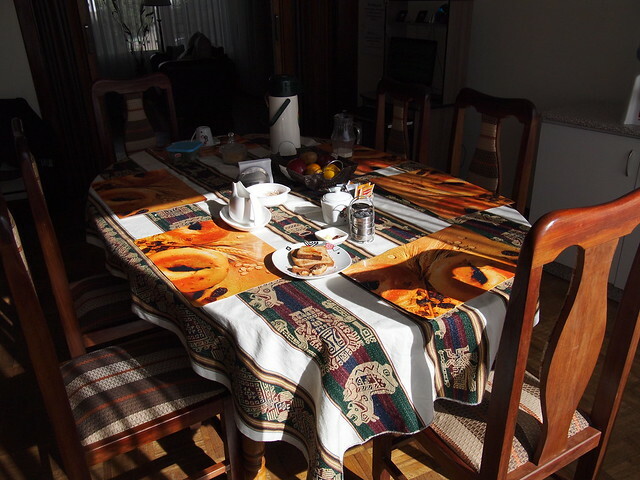 There were two couples from New Zealand traveling separately staying at the house as well and one of the ladies was a chef. She decided to roast a chicken for the party and we were invited to partake as well. Pretty interesting conversation with them, ranging from Bolivian strikes to the intricacies of South American guesthouses. 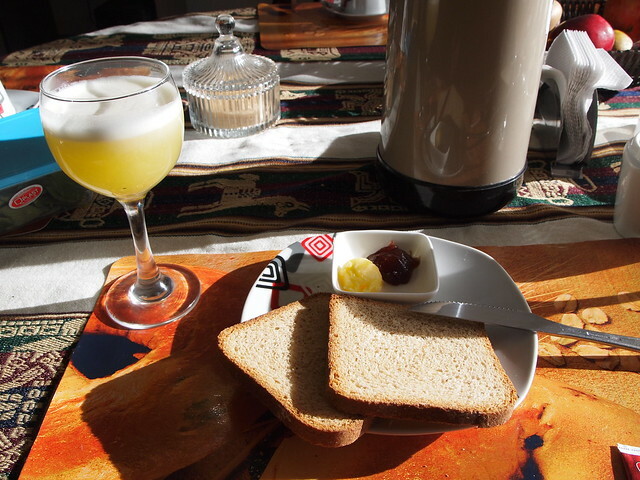 Breakfast was also included and we had toast, fruits and juices every morning. If there was one thing that could be improved, it was the number of bathrooms. There were two but only one had showers. So one may had to wait before he/she could take his/her showers. Otherwise it was perfect stay. A special thanks again to Raul who was always happy to deal with our requests. 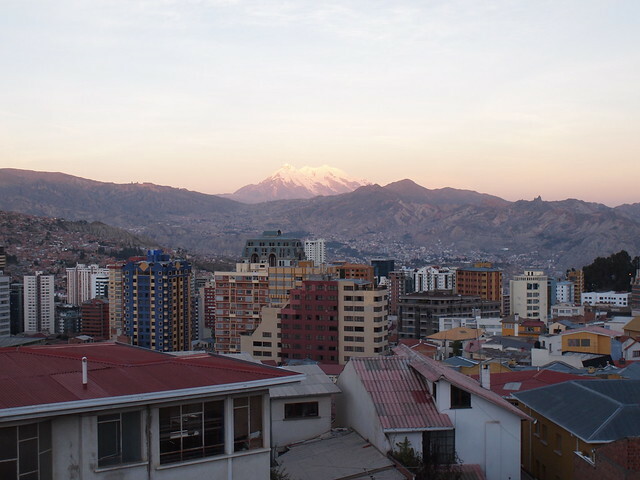 The team was certainly doing things right and it wasn’t surprising that its listings are among the top in La Paz on Airbnb. 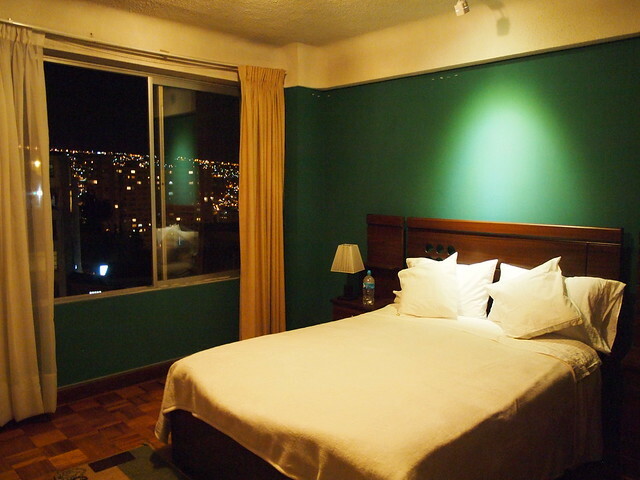 This entry was posted in Bolivia and tagged Accommodation, Airbnb, bolivia, la paz. Bookmark the permalink.